You are currently browsing the category archive for the ‘Brandl Media Minute’ category. Today we bring you another edition of the Brandl Media Minute. This week we’re working with a 2012 Dodge Challenger R/T. LT the Media Manager gives you the rundown on the HomeLink Garage Door opener system, found in MANY Chrysler Jeep Dodge Ram Vehicles. 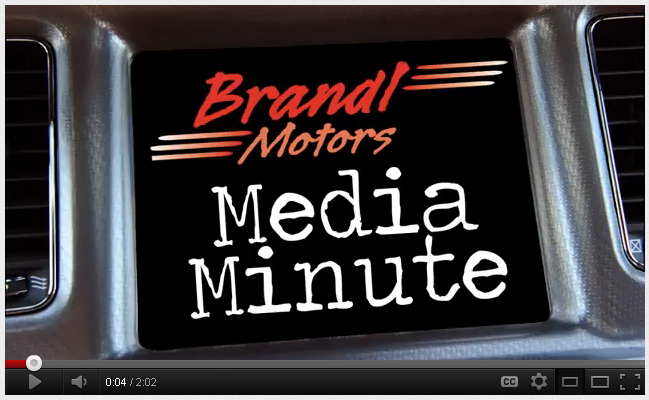 Today we bring you another edition of the Brandl Media Minute. This week we’re working with a 2012 Dodge Durango Crew. LT the Media Manager gives you the rundown on the some of the storage options given to you with the 3rd row seat.